Jewelry shoppers who desire the fire, brilliance and durability of diamonds without the high prices often seek alternatives to the expensive gemstones. Diamond simulants are the best choices for these shoppers. Moissanite is a lab-created diamond simulant that has beautiful qualities without extremely high prices. 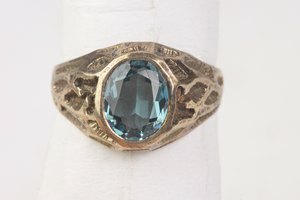 However, it doesn't have the same tradition as diamonds and is not a cheap simulant. 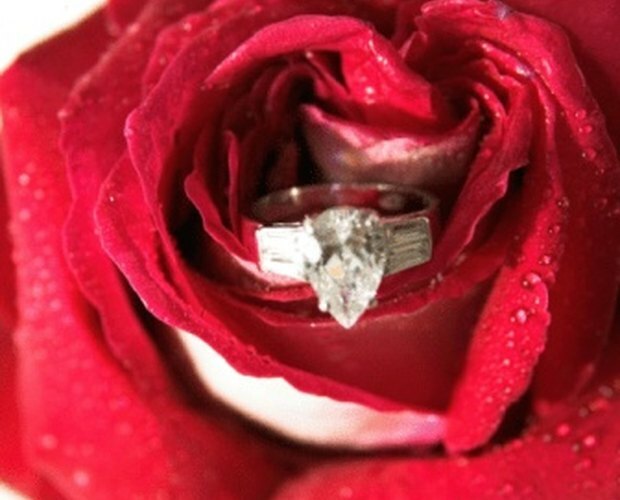 Therefore, shoppers must decide if a Moissanite is the right choice for them. Moissanite in its original form is a natural gemstone made of silicon carbide, discovered in a meteor crater by scientist Henri Moissan. 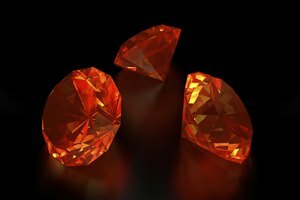 The gem offers refractive qualities greater than the majority of diamonds; however, its occurrence in nature is extremely rare. Scientists and gemstone experts found a way to create Moissanite from a tiny silicon carbide crystal by growing it in a lab under pressurized heat. 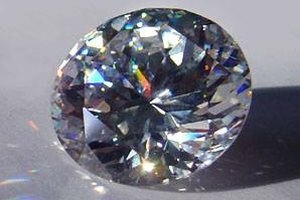 As a result, Moissanite is also almost as durable as a diamond and can be cut and faceted and used in any type of jewelry. 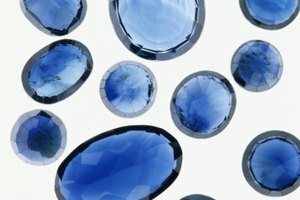 It is a gemstone that is indistinguishable from an actual diamond, even to discriminating diamond lovers. Moissanite has even brighter fire than a diamond, as a result of a higher refractive index. This gives Moissanite beautiful color and clarity without looking fake, like some diamond simulants. 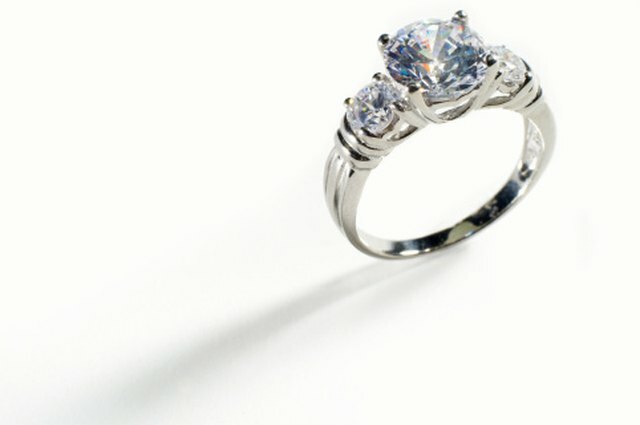 A light source placed under a diamond and Moissanite will clearly show how Moissanite disperses more light rays. If you are looking for a 1 carat Moissanite, you can probably find one for less than $500. A diamond with similar cut, clarity and fire could cost you as much as $5,000. Basically, most Moissanite dealers sell the gemstones for about one-tenth the cost of a diamond. Though that is a considerable savings, one drawback to Moissanite is that it is one of the most expensive diamond simulants on the market. 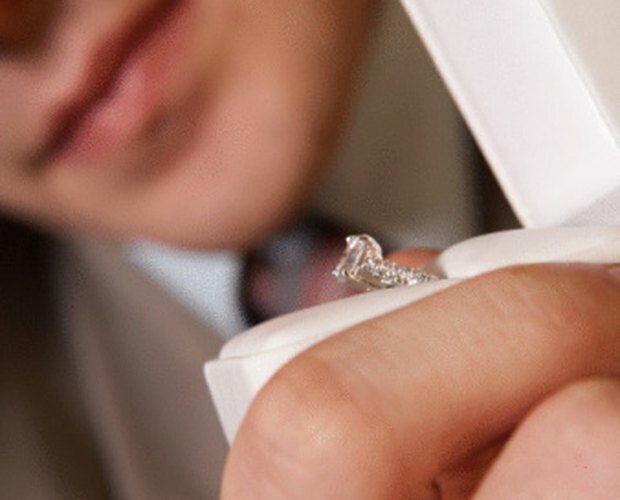 Though Moissanite has many pros, one downside is that many jewelry enthusiasts want the tradition factor associated with diamonds. 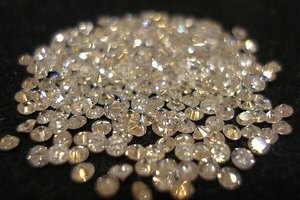 Though it is much more expensive, many brides prefer a diamond to any other stone because of its reputation for lasing forever. In addition, anniversary bands are also tokens of lasting love, so diamonds are often preferred as the perfect symbol to celebrate a long-lasting relationship. Some shoppers who are in the market for a diamond will not be happy with anything but the real thing. However, though Moissanite is new to some jewelry enthusiasts, it's worth learning about because of its fire, brilliance and lower price. Once the quality and value of Moissanite is experienced in person, few other gemstones can compare to what this beauty has to offer jewelry lovers. What Is Diamonique Made Of?